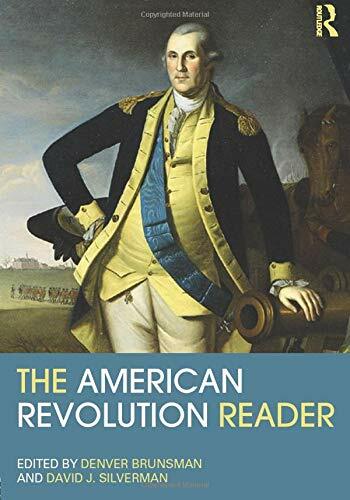 The American Revolution Reader is a collection of leading essays on the American revolutionary era from the eve of the imperial crisis through George Washington’s presidency. Articles have been chosen to represent classic themes, such as the British-colonial relationship during the eighteenth century, the political and ideological issues underlying colonial protests, the military conflict, the debates over the Constitution, and the rise of political parties. The volume also captures how the field has been reshaped in recent years, including essays that cover class strife and street politics, the international context of the Revolution, and the roles of women, African Americans and Native Americans, as well as the reshaping of the British Empire after the war. With essays by Gordon S. Wood, Mary Beth Norton, T.H. Breen, John M. Murrin, Gary B. Nash, Woody Holton, Rosemarie Zagarri, John Shy, Alan Taylor, Maya Jasanoff, and many other prominent historians, the collection is ideal for classroom use and any student of the American Revolution. Denver Brunsman is Assistant Professor of History at George Washington University. He is the author of The Evil Necessity: British Naval Impressment in the Eighteenth-Century Atlantic World and an editor of Colonial America: Essays in Politics and Social Development, Sixth edition (Routledge). David J. Silverman is Professor of History at George Washington University. He is the author of Red Brethren: The Brothertown and Stockbridge Indians and the Problem of Race in Early America and an editor of Colonial America: Essays in Politics and Social Development, Sixth edition (Routledge), among other books.